In preparation for the third installment of the Briggs and Stratton LO206 Cup, Jason and I visited Concept Haulers Motor Speedway for a some testing and a practice race with the local club. 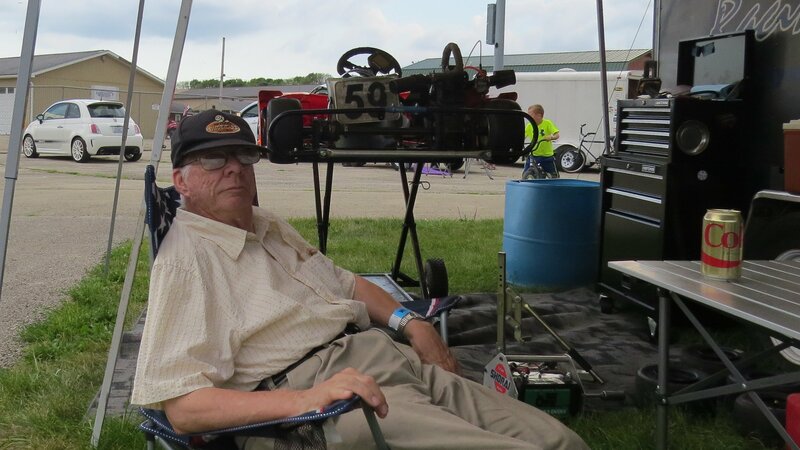 This track was the first one he put his very own kart on, and he ran his first season of LO206 Sportsman there. His first race this season was here and he did okay, taking second, but it was not spectacular, fast but not real fast. After working hard this season he has been reaching for the “real fast” and the potential for Jason to do well was there. The hope was that we would be able to at least keep up with the locals and give them a challenge. We arrived for an early in the day open practice and tuned up his animal kart until we ran out of gas. Once official race practice started, he was already warmed up and ready, so, I put him in the back of the field, first to see what he would do and second to give him some practice passing. His instructions were to be patient and smart and drive clean. For the first two practice sessions he was very clean and passed the entire field both sessions. In the second lap of the third practice, he exited from turn 1 a little hot and spun off the track in turn 2, then rest of practice watching the other drivers. So much for being patient. The field this week consisted of 12 karts. We have not seen a field this size since his kid kart days. We knew most of the drivers and understood what they would do, but there were also a couple of unknowns. Jason started the first heat in the middle of the pack in 8th, and the second in 5th(bumped up to 3rd, due to new drive moving to the back). Being in the middle give him a better chance of finishing high in the heats and then starting near the front for the feature which makes winning easier with fewer karts to battle with in front of him. Let’s watch, now, and see how he did. Feature Race, starting on the poleI am hoping that you watched the video. If you look back at the first race of the season he is actually a completely different driver. At the beginning of the season he was letting off on the gas into corners and over breaking, now he stays on the gas through most corners, using the breaks to adjust speed and and direction to navigate the corner. Not only did Jason win the heats 1 and 2, and the feature (by 17 seconds) but he also set the new 2015 track record with a 58.967, 1.271 seconds faster than the previous record and only 1.1 seconds away from the over all record. We will see if it still stands at the end of the season. Jason’s next race is August 21-22 at Concept Haulers Motor Speedway. 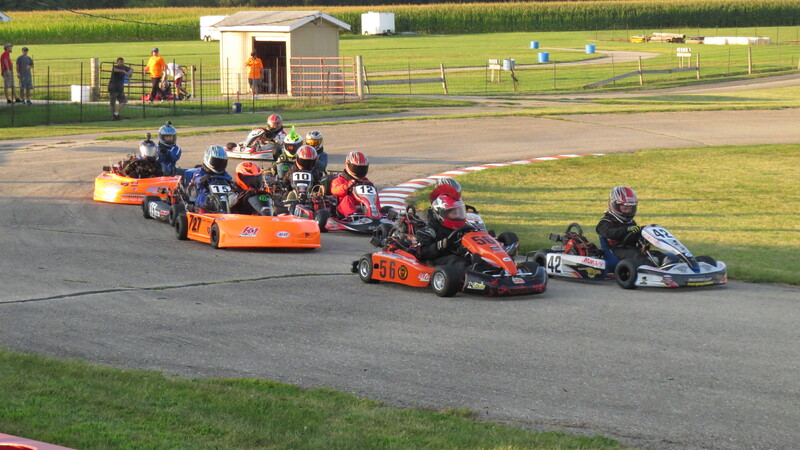 This will be the third race weekend of the Briggs and Stratton 206 Cup. Thanks to both my parents and my wife for letting me muck with cars, motorcycles, and motors. 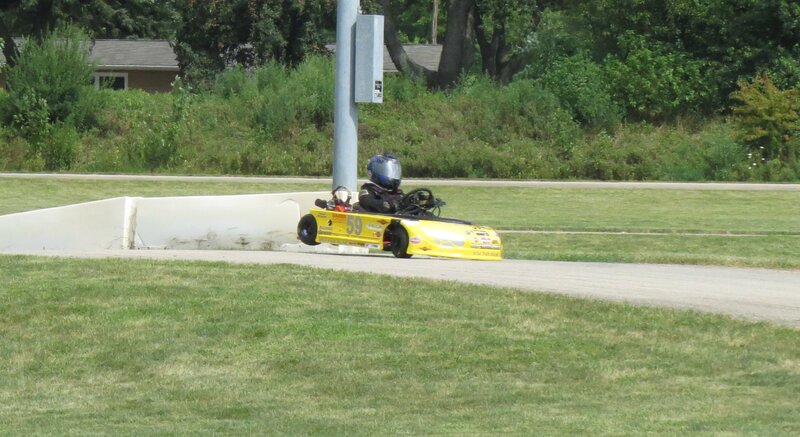 Without the skills I learned there I would not be able to keep Jason’s kart right. Thanks to my Dad for hanging out with us this last weekend. Your company was much appreciated.